You know that money-can’t-buy-happiness thingy, right? Yap, that’s bulls**t! You know why? Cause money can sure buy those nice lipsticks- and that’s pretty much happiness to me. Lately, I prefer to use matte lipsticks. There’s no particular reason, I just like it that way. Oh, maybe there’s a reason- it lasts longer. 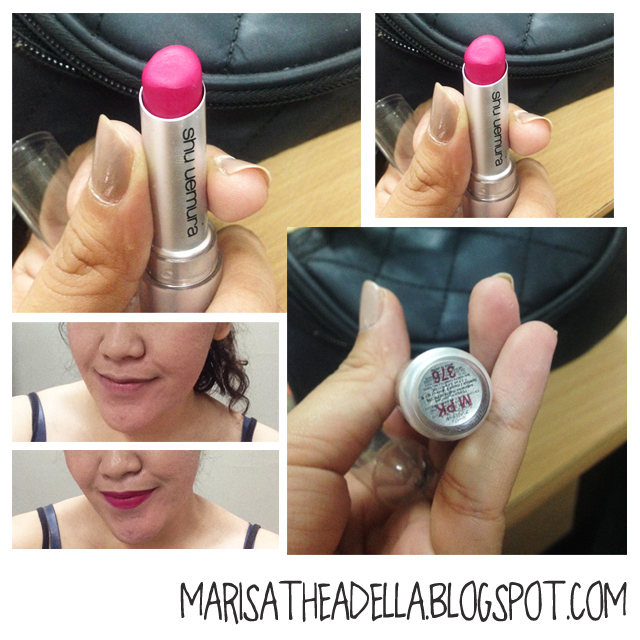 However, matte lipstick is a mate to dry lips (I know, I am funny like that!). Surely I don’t like dry lips cause it makes my lips darker. 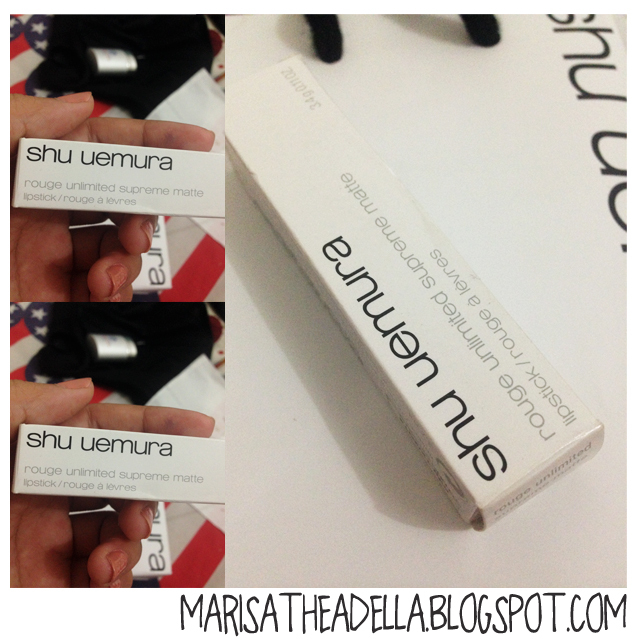 But then God saved me, he led me to pick Shu Uemura Rouge Unlimited Supreme Matte. 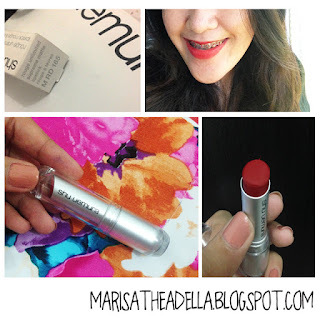 Unlike any other matte lipsticks, Shu Uemura Rouge Unlimited Supreme Matte is so soft. The finish is also a soft matte, which blends naturally in your lips. You will not be troubled with dry lips as your lips will stay as moist as ever. However, please do apply lip balm before putting this matte lipstick. What I love most about the lipsticks is that they are scent-free and taste-free. Adding those to the softness, you won’t feel it at all. I have been using the lipsticks for nearly six months now. The wear time of the lipsticks is between four to five hours, quite average I can say (or no?). I do reapply it after lunch, but just one smooth swipe. There are several shades available, but I chose M RD 165 and M PK 376. What I don’t like from the lipsticks is that they are easily broken. I broke both my M RD 165 and M PK 376 in less than a month- I am sure I didn’t use it too rough. Another thing I don’t like from the lipsticks is the packaging. I won’t consider it as a cheap lipstick, cause it is not cheap- or at least for me it is not. But unlike other not-cheap-lipsticks-according-to-me, the packaging is too simple.